Aliens aren’t the least realistic thing in the plot of XCOM - whether or not we’re truly alone in the universe is a debatable notion. What’s not debatable is that it’s highly unlikely that a military endeavour funded to research the technology from off-world visitors and use it against them could be funded by every continent on Earth all working together in unison. Most of us don’t even bother learning a second language. 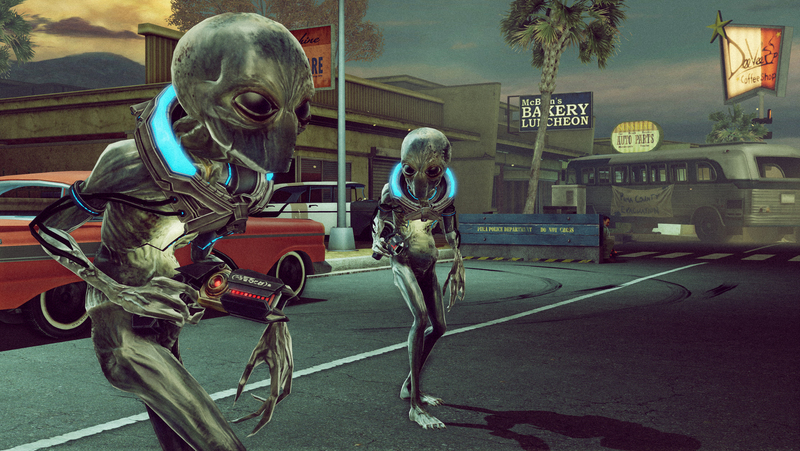 When you start thinking too hard about the XCOM project being set up, it breaks your head a bit. Thankfully this prequel takes place around the time that the organisation was created. We don’t have to think for ourselves any longer. The titular Bureau was a clandestine operation set up by JFK soon after the Bay of Pigs as an attempt to prevent invasion and stem the tides of Communism before it could gain a foothold within American borders. Eventually, it was discovered that the biggest threat to the sovereignty of the United States wasn’t from other countries or ideologies, it was from other worlds. 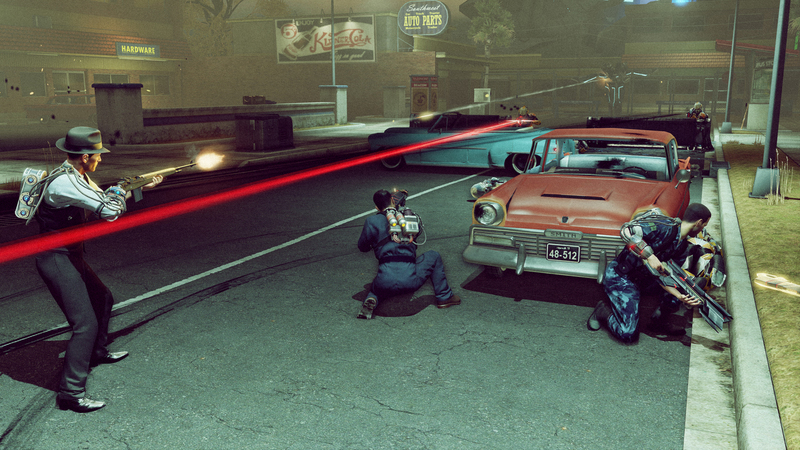 The Bureau quickly moved to adapt and overcome and became the XCOM we know today. The setting’s great, because it explains the cover-up as an attempt for America to not show it’s hand and appear weak to other nations, but your conflict with the aliens also echoes the pervasive paranoia of the era, the fear of a threat too large that can’t be overcome. It’s not just in fiction that there’s been changes, the game itself has done a lot of it’s own redesigning work. Having initially been pitched as a First Person Shooter long before the success of the more strategically focused XCOM: Enemy Unknown, it’s clearly learned so many lessons from the other’s approach to gameplay. 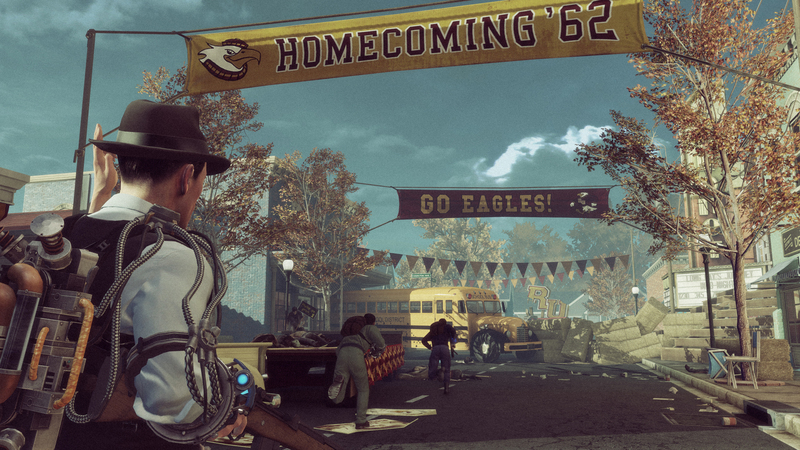 It’s no longer an FPS, now it’s set in third person, you control the character of stern government man James Carter and two other fully customisable units. There’s a blend of real-time shooting and a Mass Effect style Command Wheel that slows down combat, with techniques that can be used separately or in conjunction with others to mow down hordes of alien invaders. What differentiates this from Mass Effect, however, is the aesthetic. It’s set in 1962, which means that there’s an adherence to a Mad Men-styled architectural and mechanical Americana, but with a mix of retro-futurism in the form of The Bureau’s reworking of alien technology. It’s so amazing seeing the disparity between what your characters are wearing and the environments you’re travelling through juxtaposed with alien races carrying weapons centuries beyond the current understanding of science. It’s even better seeing this on your character model, with a dapper suited 60’s gent lugging around a silly alien backpack totally at odds with his clothing. Rather than the strategic base and resource management in between encounters found in Enemy Unknown, The Bureau contains an overworld map where certain types of missions can be selected. There are optional missions that can aid your research into alien technology and character progression, Away missions that you don’t go on yourself but can send your units to do, plus story-focused missions that propel the narrative forward. We managed to play an encounter with the enemy in a small town that had been taken over by a neurological disease dubbed the Sleepwalker Virus. It left the town’s inhabitants docile and repeating the same words and actions since they became infected. Your crew visits to rescue an agent stuck out in the field and holding off enemy attacks on his own.